Lincoln cents are among the most widely popular United States coins, and having been continually minted since 1909, they are also the nation?s longest-running coin series by a mile. 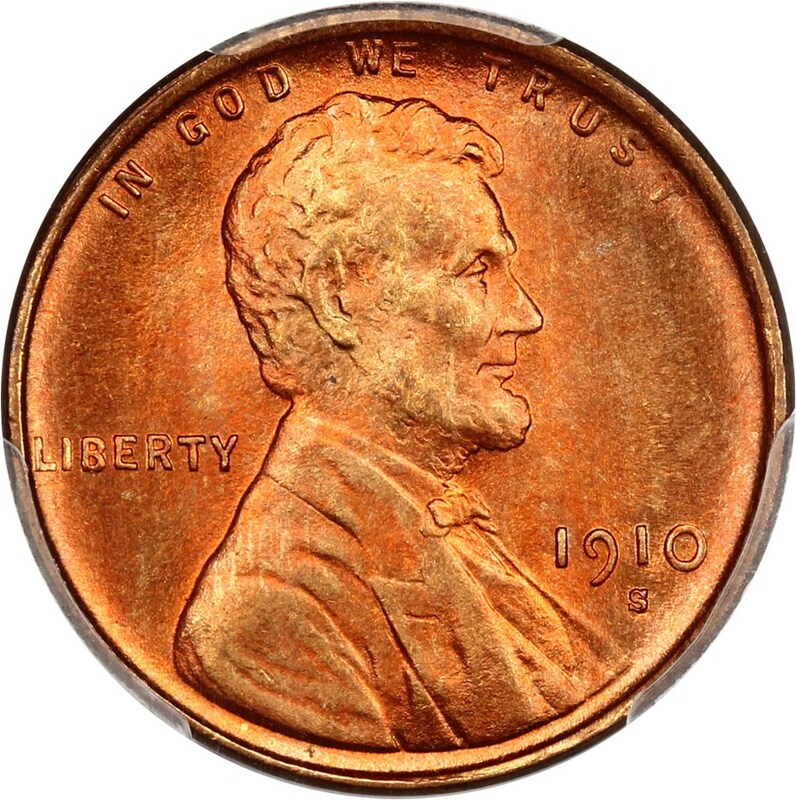 The Lincoln cent was designed by sculptor-engraver Victor David Brenner, whose ?VDB? initials infamously appear on the reverse of the very first Lincoln cents struck in 1909. Later in the year his initials were removed due to many in the public criticizing the relatively prominent ?VDB? at the bottom center reverse along the rim, but in 1918 his initials were restored and they have appeared in very small font under Lincoln?s shoulder on the obverse ever since. While well more than 100 billion Lincoln cents have been made, there are several issues that are considered scarce series key dates and semi-keys, with the 1909-S VDB cent reigning as the scarcest and most popular of the ?rare? Lincoln cents; 484,000 were made and according to Professional Coin Grading Service (PCGS) perhaps 20,000 survive, so the coin isn?t necessarily ?rare,? but there?s always far more demand for this coin ? whose fame goes beyond numismatic circles ? than there is available supply. Other scarce regular-issue dates include the 1911-S, 1914-D, 1924-D, 1931-S, and 1970-S small date. Among the rare varieties are the 1922 no-D, 1943 bronze, and 1944 steel cent. The 1955 doubled die is widely considered the most popular of all United States die varieties, though other Lincoln series doubled dies from 1969, 1972, 1983, and 1995, are also actively traded.